Visual arts essays are a real challenge for the author, especially when he/she is not very experienced in writing. As a student of visual arts, you are perhaps quite good in different techniques of drawing, painting, taking and editing images, working with specialized equipment, and so forth, aren’t you? Why then, you may ask, should you write essays? What is the connection between visual arts and writing? 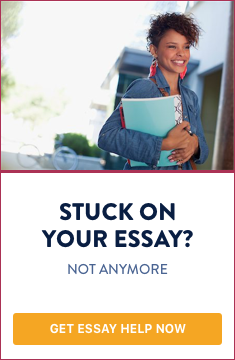 In order to write a better essay, you need to understand your task better. Visual arts and literature have common goals: to describe and represent the world around us. This was the goal of the first forms of primitive art. By describing the world using visual means, people could understand it, or even build their own worldview. This is just the first step, of course. Literature does the same, but by employing verbal means, i.e. words. The ideal painter, or person of art is the one who can explain what he/she has painted; what is the message of the works of art done by him/her. Not that a painting, drawing, an art photo, or anything other could be perfectly explained; at any rate, its author should be able to use words to interpret the work in question. Thus, a student of visual arts, like you, should know how to write a visual arts essay. Visual arts and literature have common goals: to describe and represent the world around us. First you have to find more information about the given painter, photographer, etc. What is his/her style? What kind of issues (social, religious, political) does he/she deal with? Is there any influence of another artist exerted on him/her? When you have gathered some information about the author’s biography, you then need to become more familiar with the particular work of art (if possible). What is its title? Where has it been taken (if it is a photo)? If you are not sure whether you need the answer to such questions, you can just leave them. In all cases, when you know more about the context, you can easily interpret the message of the particular work of art. The technique applied by an artist could (and usually does) improve the way in which the message is rendered. Here you should also show your comprehensive knowledge in the field. Employ the terminology required. If you are not sure about the meaning of given terms, do not refer to them. Now you should recognize what is depicted on the particular painting, photo, etc. Here again the knowledge about the context will assist you. The best photos are usually those which contain images characterized as “vague” or not easy to be recognized. This is so because they could present multiple messages at once. The last stage of the writing process is your own vision. What do you see? What others should see? What is the message of the painting/photo/etc.? Advice: it is not possible to perfectly understand the idea of someone else. The world we see is such because it is seen by us, through our senses. However, there could be common features of the way in which different persons see it. You should find exactly these common features. Think: if the message is such and such, will the person X agree with me? Or the person X will have a different opinion? Writing a visual arts essay proves not to be the easiest assignment you can have at college level. It requires careful preparation and comprehensive knowledge. During the process of writing you should be both creative and logical. Don’t forget to revise your paper, for no one could write a perfect essay at once.